One of the largest and most productive fishing boat harbours in Western Australia, Port Denison is also a top spot for recreational fishing and water sports that’s blessed with beautiful white sand beaches. 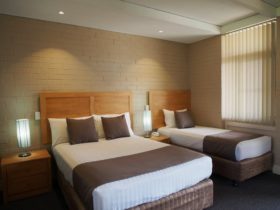 The journey to Port Denison takes you on a scenic four-hour coastal drive from Yanchep, north of Perth, following the Indian Ocean Drive. Allow a little extra time along the way for exploring the stunning beaches, spotting spring wildflowers or experiencing some of the region’s top fishing and surfing hotspots. 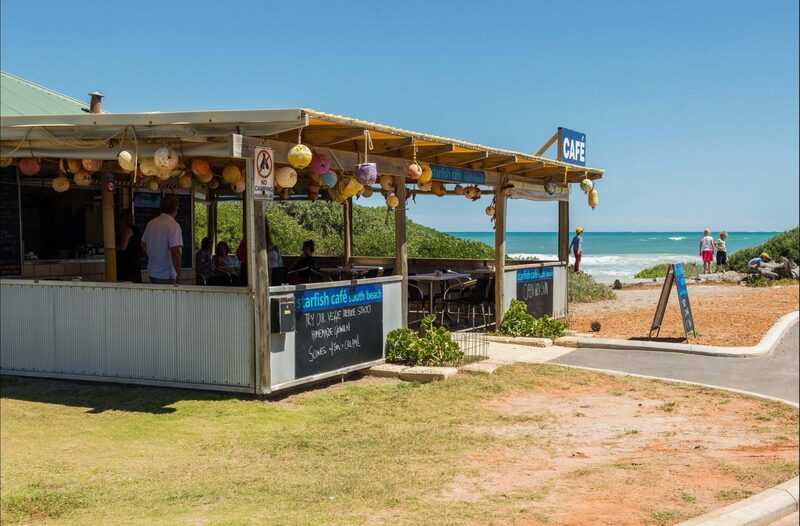 You’ll find the hub of Port Denison’s surfing, body boarding, kite surfing and stand-up paddle boarding action down at South Beach – a picture-postcard setting for a fun family day on the beach. From the jetties, platform or beaches, you can have a go at hooking your own dinner or join a guided tour. The waters are renowned for their abundance of tailor, snapper, whiting, dhufish and, when in season, rock lobster. 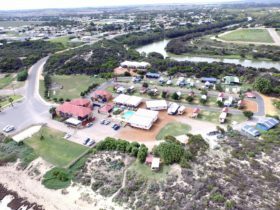 In and around Port Denison and its twin town of Dongara, there are plenty of great walking trails leading you through scenic Coral Coast and Irwin River landscapes. Follow the Fisherman’s Lookout Obelisk and take in the panorama of the harbour and its rock lobster fishing fleet. History buffs can pick up a little maritime history here too, by checking out the plaque depicting local shipwrecks and continuing on to the Shipwreck Walk Trail at the Port Denison Foreshore. The grassed foreshore is also a great spot for a waterside picnic or barbecue, with shady seating areas and a children’s playground. 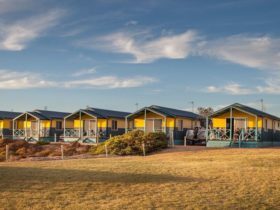 Accommodation options in the port town offer beach resorts with ocean and marina views, holiday units, cabins and caravan parks. On Saturday nights in the summer months, you can enjoy the yesteryear charm of a night at the drive-in cinema – one of the few remaining drive-ins in Western Australia. 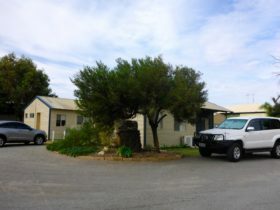 Port Denison is an Urban Location area within the local government area of Irwin in Western Australia, it is located approximately 312kms from the capital Perth and extends over an area of 14.621 square kilometres. Port Denison has a recorded population of 1410 residents and is within the Australian Western Standard Time zone Australia/Perth. If you are planning a visit to Port Denison we’ve put together some of the things you can see or do while you are here. These include, places to stay, tours and attractions, some upcoming events and places where you can grab a meal. Go ahead, try one of the buttons above. Every destination has something worth seeing so start exploring… If you know Port Denison and think we’ve missed something, let us know and we’ll share it here.